When plastic trunking passes through fire rated walls, the existing fire rating for the adjacent compartments is lost. 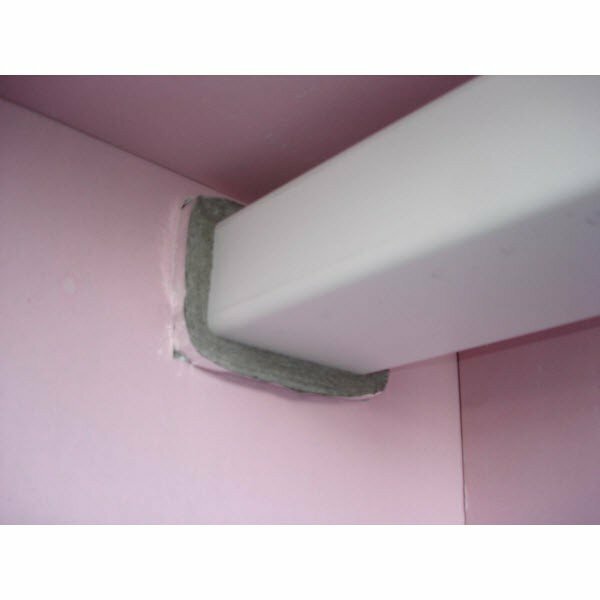 An intumescent fire trunking sleeve restores the fire rating quickly and affordably. In the event of fire, the sleeve destroys the potential fire pathway by expanding, and then quickly crushing plastic trunking. The sleeve maintains fire resistance for a minimum of two hours. Excellent acoustic insulation properties, and an effective thermal insulator. Two size options are available: 50mm x 50mm and 100mm x 100mm. Length of both is 150mm. Cut to fit convenience ensures low waste installation. No mastic or special tools required. As only one side of the trunking need be accessible, this is an ideal solution for retrofitting scenarios. Independently tested, and meets the requirements for BS476 Part 22: 1987 and NHBC type approval. Testing verified effective protection for both metallic and polymeric piping through plasterboard wall and solid flooring surface. A polymeric piping through mineral fibre batt scenario was also successfully tested.